Two servants, hard-faced, well-armed men, and the tutor, Master Salman, took the boy far into the Sahaar Desert. Four days on the backs of grumpy, smelly camels. The three men never spoke. For the first day, the boy asked many questions. The second day, he asked only a few. After that he gave up and resigned himself to whatever fate stood before him. He was being punished. That much was certain. Finally, one morning the boy woke to find the three men packing up the camels without telling him what to do. He fears this would be the day when one of them stuck a knife in his heart. Even at the age of nine, he knew he had been a great disappointment to his Wizard parents. He had failed at every magical task they gave. Not just failed, but spectacularly failed. A couple times, people were injured. They considered him a shame when he was supposed to be a triumph. That level of failure could not be accepted. So, that morning as the sun just peeked over the horizon casting a slight orange glow over the endless tan desert, Master Salman walked up to him. The tutor held out a single full waterskin. When the boy accepted it wordlessly, the man handed him a curved knife. “Do not come home,” the tutor said. Salman rode away, leaving the blue-skinned boy with the long red hair alone in the desert. Miraculously, a year later he still lived. Dressed in the hides of animals he had killed himself, he carried a spear half again taller than himself. He had learned to avoid the wandering tribes of Orcs and Goblins. He stayed away from the hunting grounds of the Centaurs and learned that he could practically hide beneath the noses of the brutal Cyclopes because although they had eagle-like vision over a distance they relied more upon touch and smell at close range. And apparently the boy did not give off a smell that they recognized as a threat. Perhaps that was the Djinn in him. He learned the habits and language of the Cyclops first. Periodically, an Orc tribe would seek the aid of the lumbering giants and through those encounters he learned that the Cyclops tongue was just a dialect of the same one the Orcs spoke. Then one day the boy was following a small band of jackals hoping to separate one for a meal. He didn’t dare take them all on himself, but jackals were greedy creatures who could be lured by the smell of some rotten meat. He carefully crawled over the top of the dune only to spot what the jackals had been tracking. A Cyclops. The giant sat cross-legged out in the open, slumped slightly forward, baking in the afternoon sun. He did not move. Perhaps he was dead and that was why the cowardly jackals had come. The boy watched as the dogs circled the Cyclops. They yipped and barked and slinked even closer, building their courage slowly. The boy snarled at the scene. It did not seem fair. This was not the end deserving of such a tower of strength as that Cyclops. Gripping his spear tightly, he stood. He had counted eight of the jackals. The boy really had no plan other than to run the beasts off. If he could manage to kill a couple, maybe the cowards would do just that. Spear in hand, he charged down the dune toward the scene below. The boy was still too far away to attack when the first of the dogs leaped at the neck of the still Cyclops. Suddenly, the giant burst into action. His right hand came up, drawing a great spiked club up from where it had been buried in a fine layer of sand. Sand splashed the air like water, and then the giant swung the weapon. It struck the brave jackal alpha, killing the dog instantly, and sent it flying far away into a sand dune. Two more dogs attacked as the Cyclops came to his feel. One bit into his hamstring. Another latched onto the giant’s left wrist, who roared in anger even as it dropped the club and went to work on the animals. That’s when the boy reached the scene. He thrust his spear into the side of one of the dogs, the weapon going all the way through and sticking in the canine’s ribs. He drew the steel knife given to him long ago by Master Salman, and a second blade he had carved himself from the jaw of a long-dead lioness. One of the jackals attacked, but a double swing of his blades cut its throat and belly open with ease. Then the rest of the animals, only a few, fled into the desert leaving the ten year-old blue boy standing dangerously close to a slightly injured Cyclops holding the limp carcasses of two jackals in his hands. Slowly, the giant turned toward him and for the first time the boy looked up into its demonic face. The single eye that should have been the most prominent feature of his face was missing and a deep gouge deformed his entire face. “A wanderer,” the boy answered in the Cyclops dialect. Slowly, cautiously, the Cyclops bent low and lifted the huge piece of wood, a tree to the boy, from the ground. The giant stood to his full height of nine feet. If not for his missing eye and hideously scarred face, he would have been one of the most impressive members of his race that the boy had ever seen. “I mean you no harm,” the boy said. “I am me. I mean no harm. Let me take one of these jackals and I’ll leave you alone,” the boy said, aware just how empty his stomach had become now that there was fresh meat nearby, even if it was stringy jackal meat. For a moment, the boy thought the Cyclops would reconsider and just kill him. One blow with that club and he was dead. Even a glancing blow would end him, and now that he was this close to the thing he did not feel confident in his ability to dodge it. He had seen it in action. Even blind, the Cyclops was a tremendous warrior. They butchered and cooked their own animals over a fire at the entrance to a cave not far from where the boy met the Cyclops. The cave had a pool of fresh water in the back from which they drank. Only when their bellies were full and the Cyclops was crunching on the bones of the jackals as an odd dessert, or maybe just to feel them cracking beneath his massive teeth, did the Cyclops turn toward him and speak. It was custom for the boy to introduce himself now, but when he opened his mouth to speak the name he had been given at birth he could not speak the words. That wasn’t him anymore. His parents had abandoned him to the desert to die. The only reason he still lived was a great anger had been born within him the day he had been exiled, a great feeling of defiance. The only way he could defy the wish of his parents was the stay alive. A new name came to him in the moment as he stared into the gaping hole where the Cyclops once had a single eye. So the boy renamed himself. Maggrash broke into a deep, thunderous laughter that echoed in the cave behind them as well as rolled out over the dunes of the Sahaar Desert. Yog smiled. He knew his name would please the Cyclops, but he hadn’t realized how much. “Maggrash have no eye and meet boy named Yog,” Maggrash said and burst into laughter again. “No, I don’t like them. I don’t like anyone who is self-righteous.” Like a mother and father who could abandon their child to the desert simply because their child couldn’t use magic. Then the giant quickly started snoring. At sixteen, Yog still travelled with Maggrash. That first year, the Cyclops kept threatening that he would eat the boy. The second year, he complained about Yog’s weakness and ignorance and a thousand other things. The third year, they became friends. Their reputation as a dangerous and deadly pair had kept most of the clans off their backs. Not for lack of trying though. On more occasions than Yog could recall, Orcs and Goblins and Cyclopes had attempted to kill them. Every challenge, however, was met with deadly force. Yog became strong and quick out of necessity. When traveling with a giant who always overestimated his strength, soon he found himself carrying for more than he could handle but somehow managing to muscle through. He also learned how to fight with sword and axe, dagger and even bare hands. 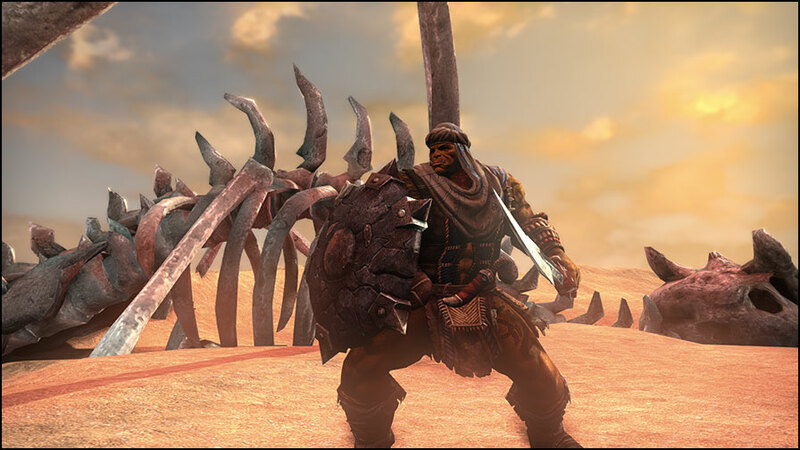 When he fought back-to-back with Maggrash though, he directed the giant toward the enemy with quick voice commands. They practically had a language of their own and with it they defeated whatever came at them. They were so invincible, in fact, they no longer hid from the tribes. On the contrary, some of the clans even invited them into their temporary towns for festivals or celebrations because they were equally known for their celebratory antics as they were for their combat skills. Those were the happiest years of Yog’s life. But it was Maggrash who wanted more. Yog was content to wander the desert alone depending only on his giant friend and his will to survive. The Cyclops, however, started talking about the strength of a good clan, and building a clan into an entire tribe, and using a tribe to create an army of tribes that could march against the Holy Empire and the Angels. Because he felt he owed the Cyclops everything, and because he secretly loved the blind giant like a father, Yog listened. “No one follow blind chief,” Maggrash declared one night out on the open desert. Strong. The words of Master Salman suddenly came back to Yog. He hadn’t thought of that long-bearded man in years. Now, he could picture him perfectly, sitting on that camel staring back at him as if he were the ultimate shame. “Someone told me once that magic is strength,” Yog said distantly. “That stupid! Strength is strength. Magic is magic. Rabbit is rabbit,” Maggrash said in his usual way of simplifying the world down to its core. 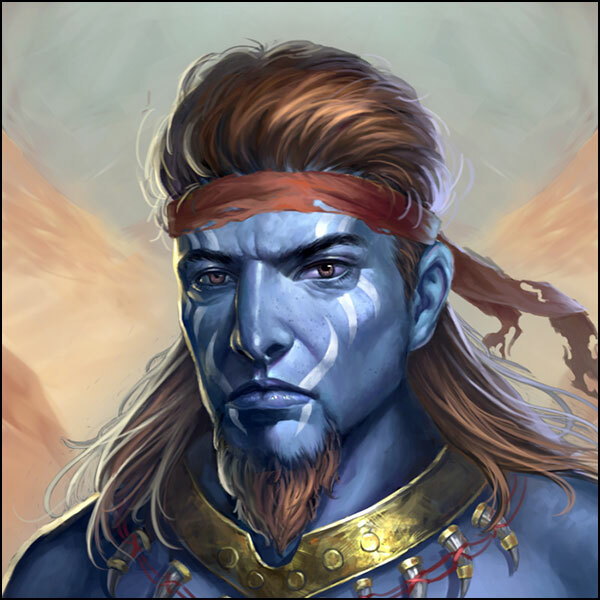 Yog used to think of Cyclopes as moronic creatures but after living with Maggrash for all these years he had come to respect the giant for his uncomplicated wisdom. It would be his first real battle. Yog had been in combat before. He had killed many in his seventeen years, but now he was the leader of his own band of Cyclopes. Twelve, not including Maggrash and himself. Across a dry grass field stood another band, almost sixty members, attempting to make a name for itself mostly through raiding the borders of the Seven Cities and now for killing the infamous Maggrash and Yog. They were a mix of Orcs and Goblins and four Cyclopes led by a merciless Orc named Kondo. “Today, it begins,” Maggrash said. There was a little white creeping into the hair on his friend’s chest and legs, the first sign of the giant’s advanced age. “I have to face Kondo alone,” Yog said. Otherwise, none of these tribeless Orcs and Goblins would join him. They would end up having to kill the entire band. “Others know this,” Maggrash spoke for his Cyclopes kin. “No let Kondo hit you and you win. There, I help,” Maggrash said testily. Yog frowned at the tall, muscular Orc standing at the center of the other band. His skin was heavily tattooed. His fangs were long. More importantly, he was known to be a great warrior with unmatched skill with the huge axe he carried. Somehow, Yog had to kill him all by himself. Yog walked five paces in front of his band of giants. He knew he looked puny compared to those who stood behind him, but he had done the impossible. He had recruited each member of his band, trained them in new fighting styles based upon strategy as well as strength. They were small in number, but they had already fended off the attacks of forces three times their size. Yog lifted his sword above his head. His long, red-brown hair blew in the wind. Recently, he had taken to tattooing his body in Orcish fashion but certain inks would not take on his blue skin. It had taken a shaman to find an ink that would work, so the white marks on his blue skin stood out enough for others to see. “Kondo!” Yog shouted across the field. The giant Orc swung his axe in a wide circle over his head several times, spurring his troops into a frenzy of excitement. Everyone was ready for war. “You’re like a Wizard with an axe, you coward,” Yog yelled, knowing the kind of reaction he would receive from and insult like that. It was an insult that had been carefully planned over the last two weeks ever since he set his ambitions upon this particular bandit band. But Yog’s words got the desired result. Kondo turned to his troops, shouted a command, and they charged. The two forces met each other in a clash of shields and axes and clubs. Any observer would have given the smaller force, even if made up of giants, no chance. But Yog had trained these Cyclopes how to fight larger numbers without breaking formation. They fought strategically but still with honour. Soon, Yog’s forces cut into the other band and split them outward toward the flanks. Yog sprinted into the fray with his sword and axe flashing. He cut down two Goblins and an Orc before he reached Kondo. He had been concentrating on the battle around him and nearly lost his head to Kondo’s axe on the first attack. The Orc was fast and strong. His axe always seemed to be swinging at Yog and it took all his speed to avoid each attack. He rolled through the grass, came up just in time to block another blow that knocked the axe from his left hand and numbed his arm. Kondo was like a dancer spinning through the battlefield with the giant axe as his partner. A glancing blow cut open Yog’s left shoulder. The shaft of the axe hit him square in the nose, breaking it and causing blood the flow down into his mouth. Yog barely jumped out of the way of another attack that would have taken his left leg completely off. Instead, he came away with a deep, bloody gash in his thigh. Kondo paused. Sweat rolled down the Orc’s ugly face and he was breathing heavily. Around the two combatants, the battle had stopped. Everyone knew what this battle was about and so they paused to wait for the outcome. Even Yog could sense some agreement among the crowd circled around them. 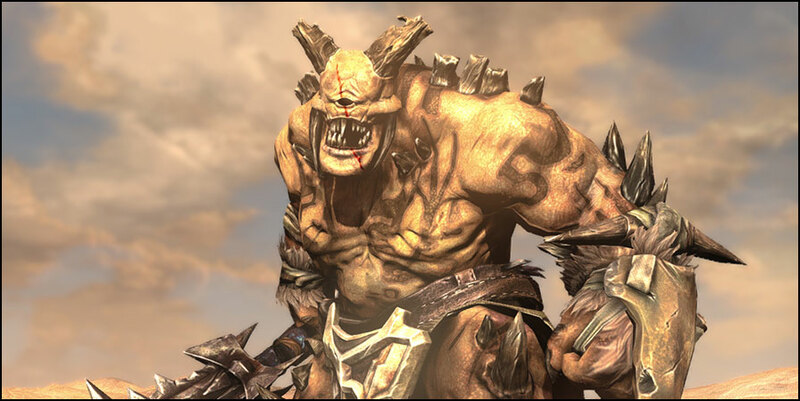 “What does blue-bird know of being an Orc?” Kondo shouted angrily, spittle flying from between his great fangs. The two combatants sprinted toward each other, weapons clashing in sparks and more blood flying to disappear into the desert sands. Somehow, Yog managed to roll under one of Kondo’s attacks and get inside the big Orc’s defences. His sword flashed up cutting into the side of Kondo’s neck. 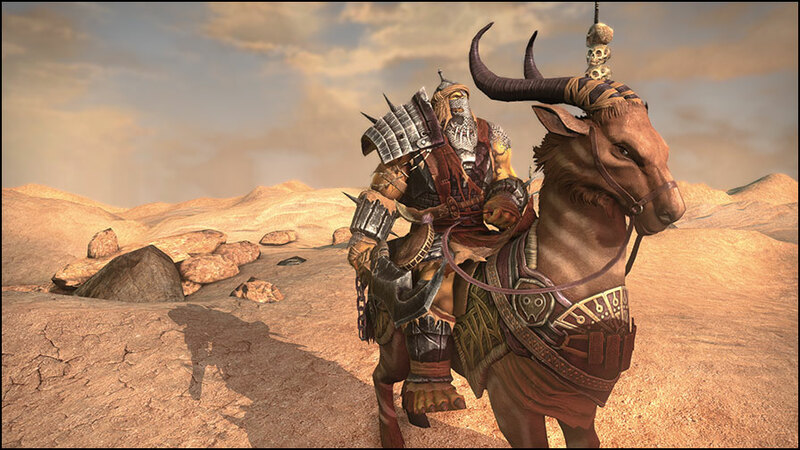 The Orc, stunned, dropped his axe and stood still looking out at the desert. “Don’t worry, Kondo. I will not be drinking or eating any part of you,” Yog said, and then spun back the other direction with his sword out at arm’s length severing the Orc’s head from his shoulders. Cheers went up from the Cyclopes circled around him. Kondo’s remaining forces, however, were uncertain of the fate they would soon face. Their hands tensed on the hilts of their weapons. Would they have to fight for their lives? Maggrash, bleeding from a deep wound on his right arm, walked forward to stand next to his friend. He made a show of looking out at all the gathered enemy. His ugly, scarred face sneered at them all. “I say we put all heads on sticks,” Maggrash growled. As if on cue, Yog’s band of Cyclopes, all but one still alive, shouted in agreement. Half a minute of screaming made everyone nervous. Battle was near, and frankly everyone would have been satisfied with that result. But then Yog raised his arm. In all the chaos, he had walked over to where Kondo’s head had rolled into the high grass. He held it up while drops of cooling blood fell on his arm. “This is the only head Yog wants!” Yog yelled. All eyes fell upon him. In unison, every single one of the enemy threw their weapons on the ground in front of them in symbolic declaration of loyalty. His wounds stitched but aching terribly, Yog sprawled in front of a fire with the beginning of his own clan around him. They celebrated this moment, becoming a stronger, smarter unit with a promise of a powerful future. Maggrash picked at his long teeth as if he didn’t have a concern in the world. It annoyed Yog. “Always? What are you talking about? You’ve been leading me,” Yog said. “You’re making all this up as you go along, aren’t you?” Yog said. 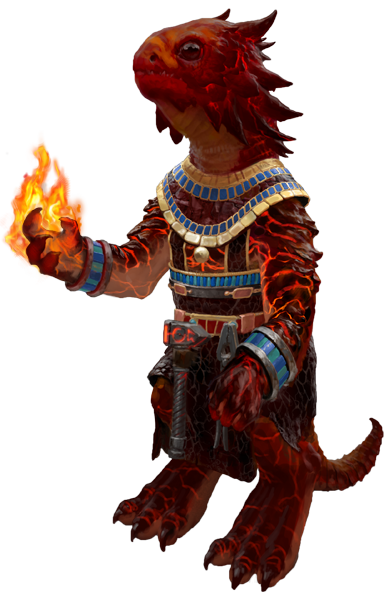 Yog’s adventures will continue in the scenario map Shifting Dunes in Might & Magic Heroes VII – Trial by Fire!